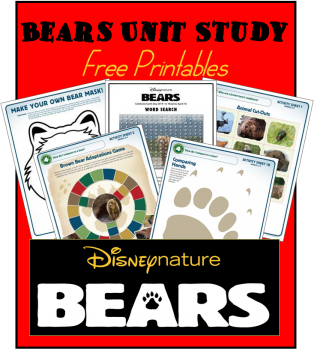 This Disneynature Bears Printables includes over 20 pages. The activity book will keep your kids learning about bears for several weeks. What an awesome Unit Study!